Gov. Doug Ducey will wait to name a successor to John McCain until after the late senator has been buried at the U.S. Naval Academy Cemetery in Maryland, an aide to the governor told The Arizona Republic on Saturday. "Out of respect for the life and legacy of Senator John McCain and his family, Governor Ducey will not be making any announcements about an appointment until after the Senator is laid to rest," Ducey's senior adviser Daniel Ruiz II said in a statement. "Now is a time for remembering and honoring a consequential life well lived." “I have found it a little bit off color, some of the prognosticators and pundits who have been making these predictions as to the senator's outcome. I think people should be praying for him and rooting for him,” Ducey told KTAR radio. “To the politicians out there that have been openly lobbying for this position, they've basically disqualified themselves by showing their true character.” Observers in Phoenix interpreted Ducey’s comments as a shot at three politicians who have been open about their interest in a Senate seat: Rep. Paul Gosar (R), former state Sen. Kelli Ward (R) and former Rep. Matt Salmon (R). I suspect Ms. Ward's chances of getting the nod are pretty close to zero. Nevertheless, after the outpouring of gratitude and somber reflections subside, politics will inevitably intervene. So who might appear on Ducey's short list? Republican consultant Sean Noble says U.S. Rep. David Schweikert, former Rep. John Shadegg and former Rep. Matt Salmon are among the possible contenders for the seat. Republican strategists and donors have also discussed former Sen. Jon Kyl and McCain’s wife, Cindy, as possible successors, the Washington Post reported. In the past, dozens of women have succeeded their deceased husbands in Congress. Some speculate that Cindy McCain could join their ranks. A few disclosures: I never met Sen. McCain, nor have I met Cindy, his wife. I am, however, personal friends with their daughter, Meghan. She and I were colleagues at Fox News prior to her depature for The View. Separately but relatedly, it is generally my opinion that Congressional seats and positions of political power should not be handed down from generation to generation in America. Power is not a family heirloom; it is something to be earned, with the consent of voters. Going a step further, I often feel uncomfortable with the extent to which politicians' offspring end up running for office, taking advantage of their family's "brand" and name recognition, almost as a form of quasi-incumbency. Therefore my overall counsel to Gov. Ducey, not that he'd ever seek it, would be to pick the most qualified and dynamic elected Republican (he is bound by statute to select a member of the deceased Senator's party) available -- preferably someone who has received the electorate's imprimatur in some meaningful way. This person will serve for the better part of two-and-a-half years, which is no small thing. If, as reported, Arizona’s Governor is considering selecting member of McCain’s family to serve out the remainder of his Senate term, I nominate Meghan. Many people reacted negatively to this idea, citing concerns about dynastic politics. As noted above, I share those concerns. My point is that if the governor decides that he's inclined to appoint a McCain to fill this seat until the next general election, my preference would be Meghan. (She meets the Senate age threshold, but I'm not sure if she meets any applicable Arizona residency requirements). This is not a criticism of Cindy whatsoever; I just do not know much about her ideology. Meghan, by contrast, has really found her voice as a conservative media commentator, exhibiting fearlessness and tenacity on the set of a show that is often politically hostile to her worldview. 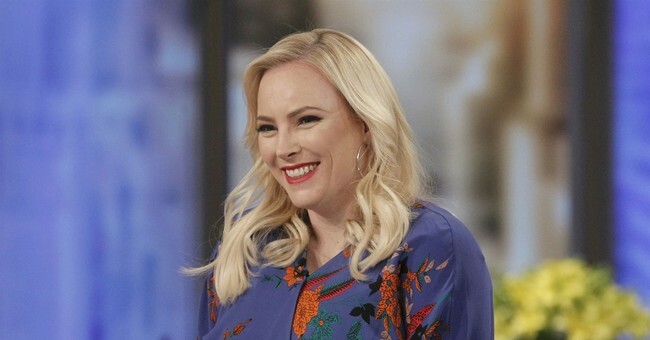 She, like her father, is a Trump skeptic in some respects -- but she frequently stuck up for the president on Fox, and has done so at The View, as well, much to the chagrin or Whoopi Goldberg, Joy Behar, and most of the live audience. I suppose my point is that if Ducey wants to go the family route, to which I'm broadly opposed, I would prefer a millennial conservative woman be afforded that opportunity. I also believe my friend would take the job seriously, merging valuable lessons she's learned from her dad over the years with the interests of the people he's served for decades -- including shifting generational attitudes, and complicated changes within the GOP coalition. For now, though, I grieve with Meghan as she grapples with the loss of a father whom she deeply and truly adored. Rest in peace, Senator. And thank you.